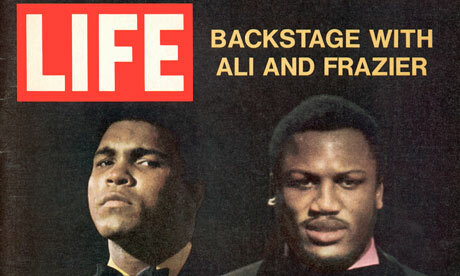 Following his death from liver cancer, we look at the key moments that defined boxer Joe Frazier's life. 1944: Born on 12 January in Beaufort, South Carolina. 1964: Wins Olympic gold medal in Tokyo, beating the German Hans Huber in the final. Frazier had been beaten by Buster Mathis in the USA trials and only went to the Games when Mathis sustained an injury. 1965: Turns professional and beats Woody Goss in his first bout. 1966: Beats Argentina's Oscar Bonavena by a unanimous decision at Madison Square Garden despite being knocked down twice in one round. 1968: Stops Mathis in the 11th round to win the New York State world title. 1970: Defeats Jimmy Ellis by a fifth-round technical knockout to win the WBA belt vacated when Muhammad Ali was stripped of the title, becoming undisputed world heavyweight champion. Successfully defends undisputed title against Bob Foster. 1971: 8 March – beats Ali in the "Fight of the Century", winning a unanimous decision after a shuddering left hook floored his great opponent for a four-count in the last of 15 rounds. 1973: Loses his title in a brutal defeat to George Foreman, in which Frazier was knocked down six times in two rounds. 1974: Loses a rematch with Ali in 12 rounds. 1975: Renews hostilities with Ali for a final time in the Thrilla in Manila. Ali won a gruelling fight in 14 rounds but later claimed: "It was the closest I've come to death." 1976: Retires after second defeat to Foreman, with a record of 32 wins and 27 KOs from 36 fights. 1981: A brief comeback yields only a draw with Floyd "Jumbo" Cummings before Frazier retires for good. 1990: Inducted into the International Boxing Hall of Fame. 2011: 7 November – dies aged 67 after battle with liver cancer.